And how they make money when you fail. Kennedy Collins, Technology and fitness. Founder of https://www.ohmcoach.com. Every owner of every traditional big-box gym would be happier if you never went. This is a simple fact, based on the economics of gym ownership. 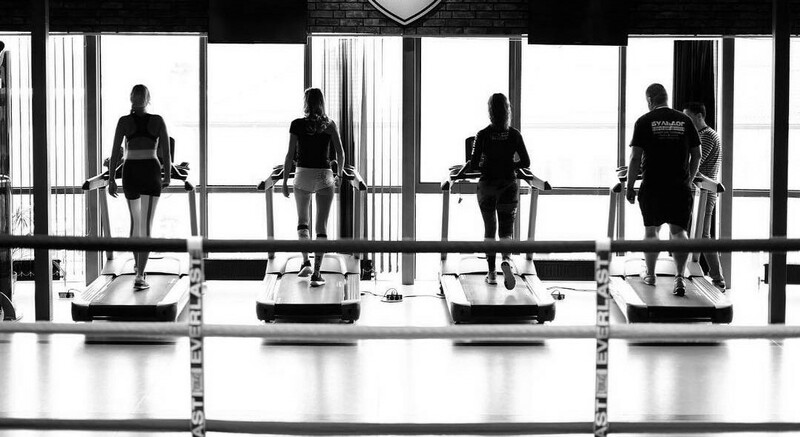 Most gyms make their money by selling access to their facilities and exercise equipment. Some have group classes, some have high margin add-ons like personal training and smoothie bars, but the core business is selling unlimited access to the gym itself for a monthly (or daily, or annual) fee. When you go to the gym, you cost that gym money. Money because they need to staff the gym, money because using the equipment wears it out over time, money for towel service and hot water and rent. From the gym’s perspective, they make more money when you don’t go. The best gym member — according to a gym — pays on time every month (or even better, pays up front for a whole year) and never comes in. Even the best gyms aren’t going to call you and encourage you to come show up, but they’re also not going to go out of their way to actively discourage you from working out. But there are some gyms that take this to its logical extreme — they do everything they can to actively discourage you from exercising, because they care more about their bottom line than your health. The worst offender here is far and away Planet Fitness. Every Planet Fitness location is designed, top to bottom, to sign you up and keep you on as a member, and then have you never go. In their ideal world, you would walk in the day you sign up and never walk in again. They have a “lunk alarm.” If you’re working out “too hard” (read: actually working out), you get warned, and can actually be kicked out of the gym. This discourages the kind of work that gets results, and without results, it’s easier to lose motivation and stop going. The weights are hidden away in a corner, and the space is designed to look like a lounge, not a gym. This makes it seem inviting to prospective members — and makes it harder to work out for actual members. They target ‘novice exercisers’ as their primary customers. Novices are the least likely people to stick with an exercise program. They are priced between $10 and $20 per month. Research shows that this is right in the price range where loss aversion doesn’t kick in, so customers get the psychological benefit of “belonging to a gym,” which makes them feel good, without the bite of feeling like they’re wasting their money by rarely or never going. And, of course, they have pizza night and bagel breakfasts once a month, and an endless supply of tootsie rolls. It’s just enough value to encourage occasional attendance and a renewed membership — but definitely not the kind of “value” that you should want from a gym. All of these tactics really work. There are scientific studies that show the average person with a gym membership goes less than once per week, and a full 25% of gym members attend less than once per month. Planet Fitness really, really doesn’t want their members to show up. They couldn’t handle it if everyone did: they have an average of 7250 members per gym, but room for only 300 people to work out at each gym at a given time. If every member tried to go at once, it would end up looking a little like Beijing’s public transit system during rush hour, which looks unpleasant enough for people just trying to get to work. Now imagine if they were all sweaty people trying to work out. There is one bright side to all this nonsense, though. If you’re a person who exercises regularly, your membership is being subsidized by another ten people who don’t. It’s unlikely that this (mildly icky) economic trickery will change anytime soon, but you can. Use it to your advantage. Make yourself better on someone else’s dime. At least then it won’t just be your gym that’s benefitting from all of those no-shows — you will be too. When it comes to going to the gym, it’s a lot easier to read advice than it is to put it in practice. That’s why I wrote a little booklet to help you get to the gym and follow through on your goals. Get it here: Five Scientific Strategies to Actually Get Yourself to the Gym.